The We.Here.Now. 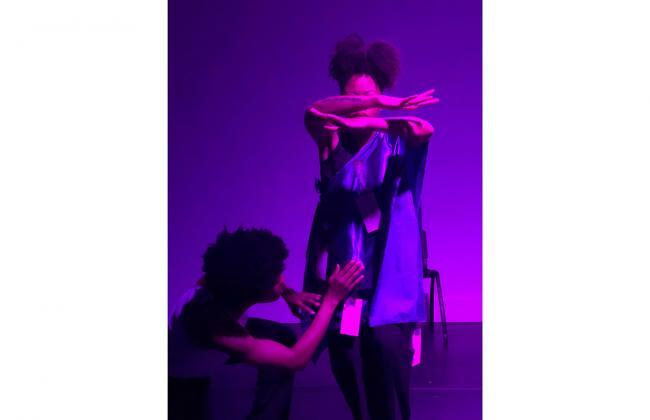 performance series aims to highlight the embodied and internalized trauma of white supremacy enacted on black bodies and social structures, as well as black insistence on surviving and thriving in spite of it. This newest installment, by EarthChild with Keisha Turner in collaboration with Amber Julian and Alexa Burrell, is an inquiry into the complex layers of celebration, grief, tenderness, and untimely loss experienced by the black women and femmes who fight for black power and liberation.